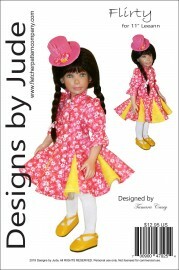 Up for your consideration is Flirty, a doll clothes sewing pattern designed to fit 11" Leeann dolls. The pattern includes a fun short dress with flared skirt and godet insets, tulle underskirt, tights and a foam fascinator hat. 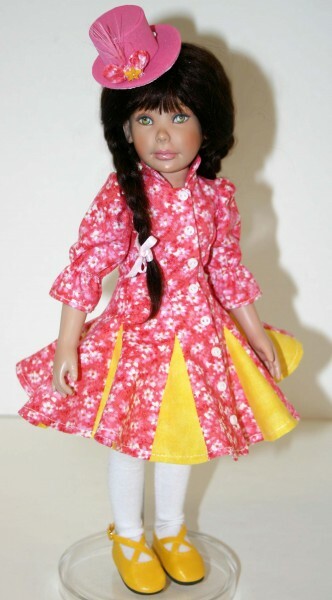 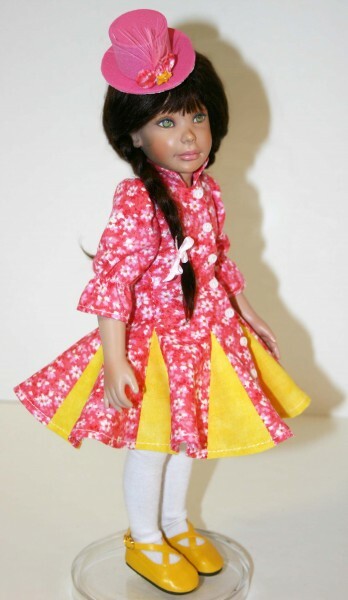 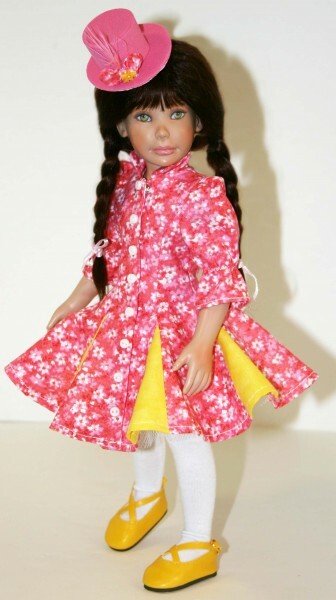 This design is also available for Ellowyne, Kish, Kaye Wiggs, Agatha Primrose and other dolls. 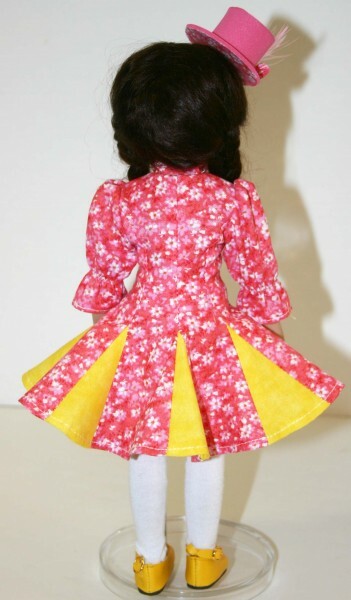 This PDF pattern prints on A4 and 8 1/2 x 14 legal size paper.